Their motto "Simplify Your Work" means RHODIUS Quality Abrasives are constantly researching and developing industrial bonded abrasive products that make the process easier, quicker and faster. Established in 1857, RHODIUS has been manufacturing abrasives since 1952 in Burgbrohl, GERMANY. RHODIUS is a leading manufacturer of industrial abrasive products. 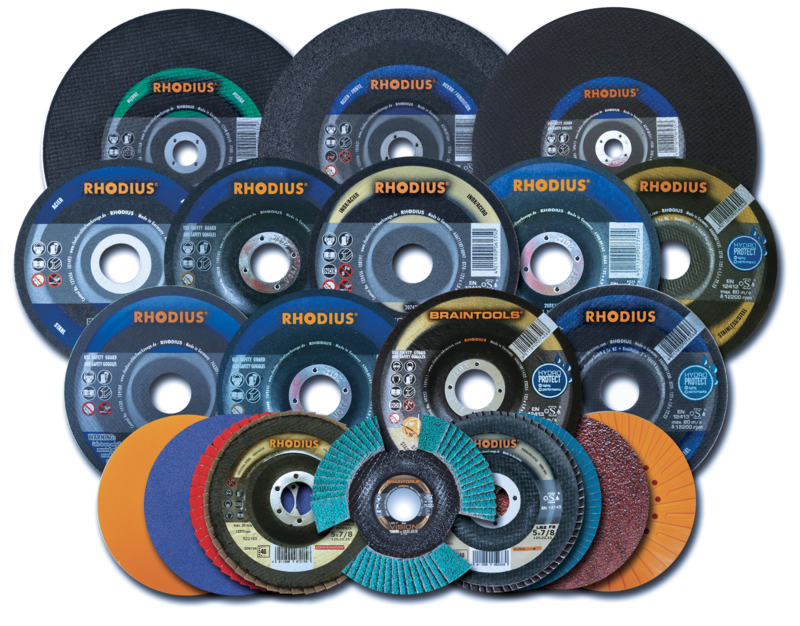 With almost six decades of innovation, RHODIUS Abrasives have earned their place as one of the worlds leading manufacturers of abrasive cutting wheels, grinding wheels and flap discs. Their strict adherence to their policy of continuous improvement has resulted in processes and products unique to RHODIUS Abrasives. oSa is the European organisation for the production of safe industrial abrasive products. oSa was formed in 2002 in Bonn, Germany and RHODIUS Abrasives are proud to be a founding member. RHODIUS Abrasives are sold in over 100 countries worldwide. RHODIUS Abrasives are the benchmark for distributors and end users alike. Their dedication to quality, safety, and service has stood the test of time.